AkroGuard is a field applied, non-cementitious, flexible coating that when used with the AkroGuard joint/transition treatments creates the AkroGuard Water-Resistive Air Barrier Assemby over approved substrates. 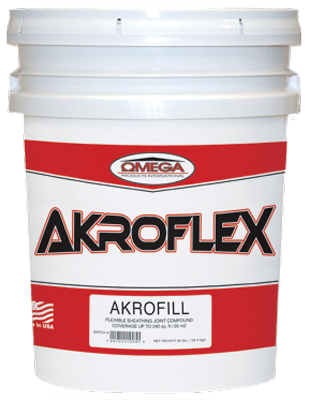 AkroFill is a non-cementitious, ready-mixed, flexible joint compound that is manufactured with high-grade fiber fillers and 100% acrylic polymers. When reinforced using AkroFlex Starter Mesh, AkroFill is used to treat joints, corners, rough openings, and other transitions within the AkroGuard Water-Resistive Air Barrier Assembly. 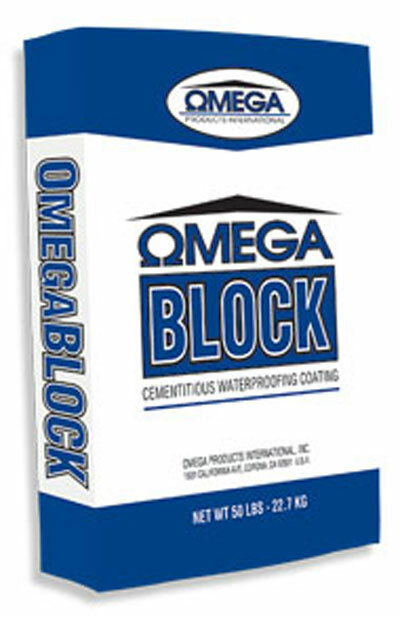 OmegaBlock Cementitious Waterproof Coating is a premium, one component cementitious coating designed to waterproof concrete and masonry. It is manufactured with cement, sand, polymers and other proprietary components that combine superior waterproofing qualities with the durability of a cement coating that becomes a part of the substrate. OmegaBlock is easily applied using a roller, brush or a sprayer. ♦ Coarse: Used to create heavy laced, sand, or machine dash finishes. ♦ 16/20: Used to create traditional, sand, or machine dash finishes. ♦ 20/30: Used to create a fine texture or sand finishes. ♦ 30/30: Used to create a uniform fine sand finishes. 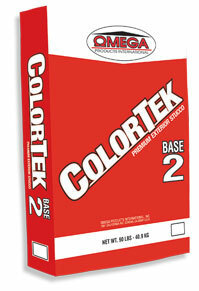 ColorTek may be colored in the field using the Omega ColorPak system. Alternatively, ColorTek is offered as a factory mixed colored stucco. Minimum quantities may apply when ordering factory blended products. ColorTek PM (Polymer-modified) portland cement-based, stucco finish is a premium, factory blended, polymer-modified. ColorTek PM has improved tensile, bond, and flexural strengths and can be applied over polymer-modified base coats without the addition of admixes or bonders. It is available in the full range of standard ColorTek aggregate and base combinations; see the appropriate ColorTek product data sheet for additional information. ColorTek SmoothCoat is a premium, factory blended, portland cement-based stucco finish used to create a smooth Santa Barbara or Mission type finish. It is manufactured from the highest-grade portland cement, hydrated lime, graded aggregates, and specific additives. 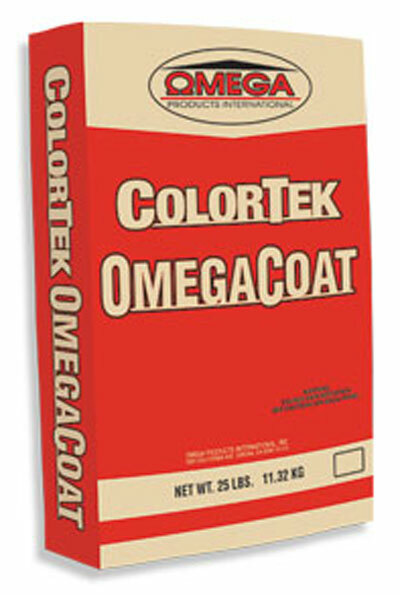 SmoothCoat may be colored in the field using the Omega ColorPak system. For added convenience, SmoothCoat is also offered as a factory mixed colored stucco. Minimum quantities may apply when ordering factory blended products. ♦ Coarse: For heavy laced, sand, or machine dash finishes. ♦ 16/20: For traditional, sand, or machine dash finishes. ♦ 20/30: For fine texture or sand finishes. ♦ 30/30: For uniform fine sand finishes. 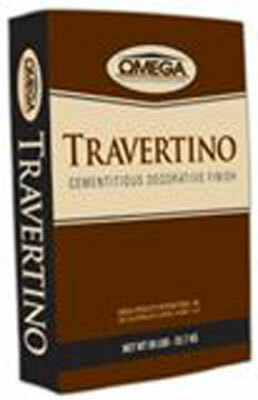 Travertino is a cementitious interior/exterior finish manufactured with integral color and a mixture of various size aggregates designed to achieve a variety of sedimentary stone appearances, such as travertine, limestone, and sandstone. Travertino can create a pitted look like that of classic Tuscan stone or can be troweled/ground to achieve a smooth stone appearance. Designs can also be carved into Travertino during application and can be used to cast special shapes. Travertino an excellent choice to create a beautiful, warm sedimentary stone appearance with a lower cost, lower weight, and shorter lead time than real stone. OmegaCrete is a premium, one component, polymer-modified cementitious coating designed to create a smooth finish on poured-in-place, tilt-up, precast, or other concrete surfaces. Specially formulated to be easily applied over these porous substrates, OmegaCrete will cure to become an integral part of the wall while maintaining the wall’s durability and breathability. OmegaCrete is an excellent choice to cover bugholes, honeycombs, and other small imperfections in concrete surfaces to produce a clean, uniform, smooth appearance. 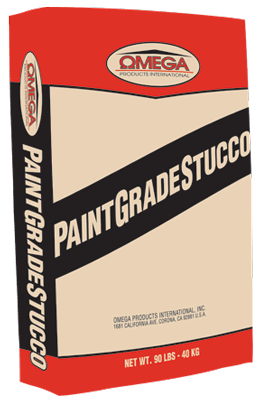 OmegaCoat (Fog Coat) is a spray-applied cement-based, water-soluble, pigmented coating, which cures to become an integral part of the stucco surface and maintains original finish characteristics. It is an economical method to achieve color uniformity and to enhance or refresh the appearance of existing stucco. 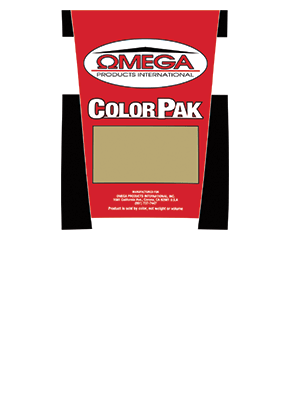 ColorPak is a dry blended formulation of iron oxide pigments used to color ColorTek Stucco or other approved Omega products.